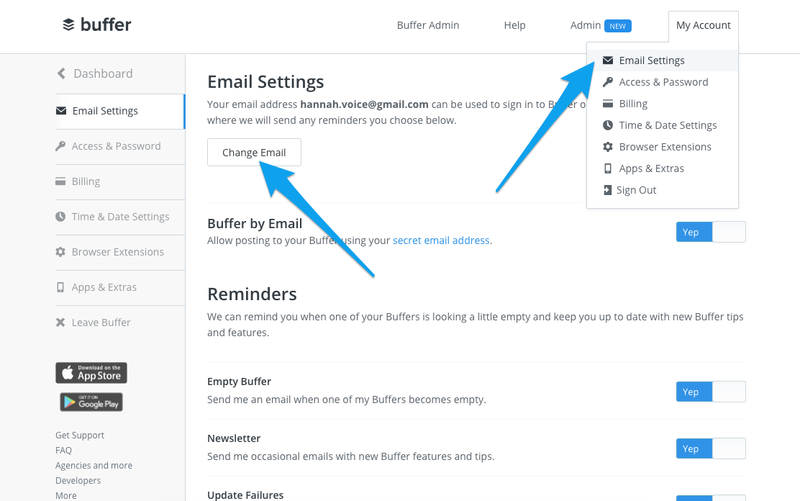 You can transfer ownership of your Buffer account to another person by changing the email address connected to the account. To do this, click My Account at the top right of your Buffer dashboard and then click on Email Settings from the drop down menu. From there, click on Change Email. You'll need to enter your password to continue and then you'll be able to enter a new email address. Once you've changed the email address, let the new account owner know that they can reset the password at this link. Once this has been done, you will no longer have access to the Buffer account.